I’m really excited to get this Ice Cream Printable Bonanza started today!! I’ve been in full on ice cream mode for the past week just thinking about this. I hope you enjoy all the ice cream themed printables as much as I do! The first printable I’m sharing is Ice Cream Letter Sounds. I’ll be using this mostly with Royal (4). We will print them out as we are going through the letters and use them for some fun reinforcement. For a child that already knows the letter sounds, this would be a great review! They are all in black in white to make it easier on your printer ink budget – but let your kids coloring them if they want! 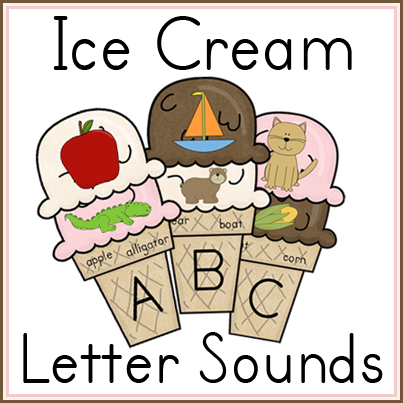 Go Here to Download the Ice Cream Letter Sound Matching Printable! as Usual your units are adorable. Thank you for sharing your talent with the rest of us. my kinders will love this! These look very cute. Thank you so much for taking the time to share them.. I am going to use them with my daughter. So Cute! I can’t wait to print, laminate and get these in my summer classroom! You are amazing. 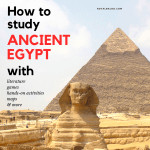 Thank you so much for sharing such a wonderful resource. These are perfect for National Ice Cream Month! Thanks so much for sharing them! I featured your ice cream printables as the Free Printable(s) of the Day at the Living Montessori Now Facebook page and on Pinterest. 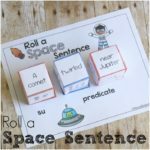 This is a fun and simple letter sound activity for my preschool and special needs daycare children. Thank you.